With a bus stop outside the door, use your student accommodation as a base for exploring on weekends. Discover dinosaur skeletons at the Earth Sciences Museum, or plan a canoeing trip to Laurel Creek Conservation Area. After dark, head downtown to meet your friends for live music and vegetarian food at Jane Bond restaurant. Princess Cinema shows arthouse movies, while Kitchener-Waterloo Little Theatre is your go-to for quality community plays. 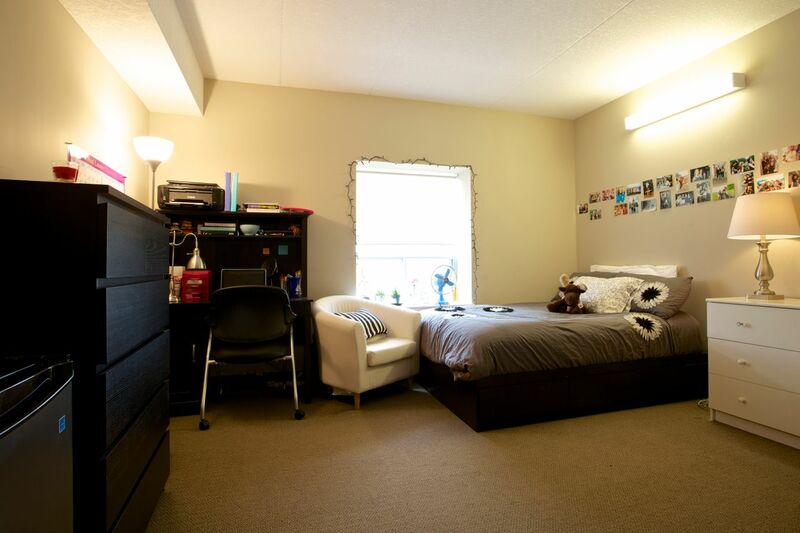 168 King Street is your choice for quality University of Waterloo housing located a 25-minute bus ride from campus. 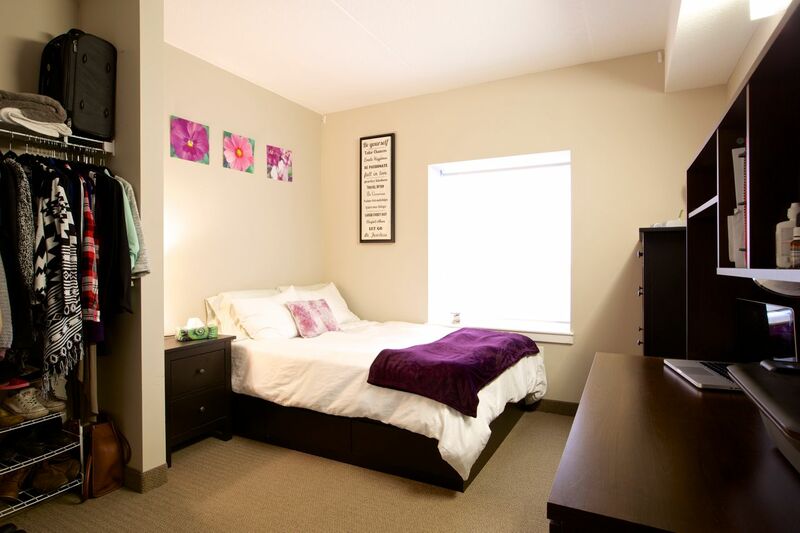 You’re also a four-minute walk from Wilfrid Laurier University. There’s a bus stop outside, while safe bike storage and paid parking facilities allow for added independence. For ultimate convenience, your five-bedroom suite comes fully furnished. After class, catch up with your suitemates while fixing a meal in the shared kitchen; then retreat to your private bedroom to stream series using the free Wi-Fi. 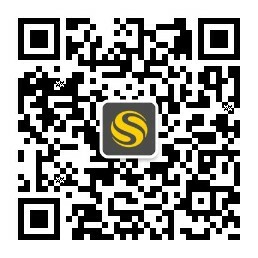 If you’ve got work to do, there are several study rooms on-site. A fitness centre makes it easy to stay in shape, while all-inclusive heat and water means you can spend as long as you like in your ensuite shower. Choose a fresh outfit from your wardrobe, then take your dirty clothes to the laundry. Later, invite your friends over for a party in the social lounge. 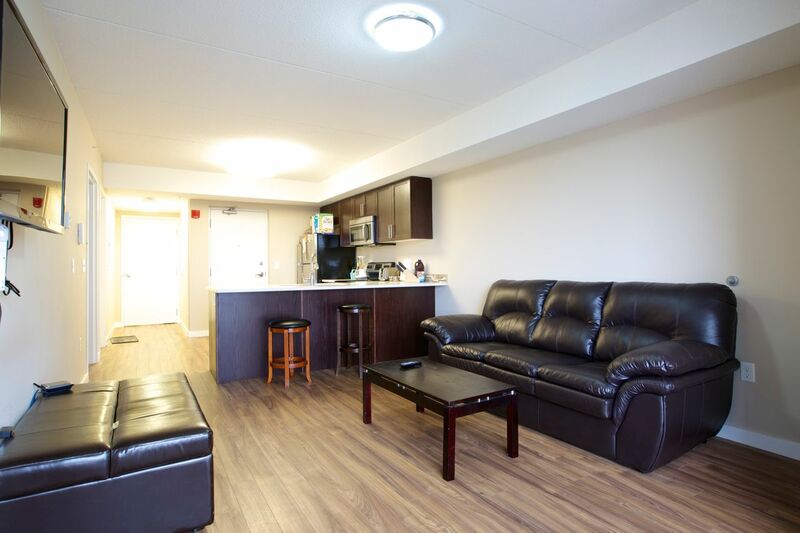 Wir haben leider keine Unterkunft gefunden, die deinen Wünschen entspricht.Alle Privatzimmer in The MARQ Waterloo at 168 King Street North ansehen.